How much do Origin Bifold Doors Cost? Origin, the UK’s biggest bifolding door company now has an e-shop. Meaning that consumers can configure and buy bifolding doors online. We take a look at what this means for consumers as well as the trade. You can now buy Origin bifold doors online and have them installed. Using an online store to work out what Origin bifold doors cost. First of all, it is worth looking at how customers wanting to work out what Origin bifold doors cost, get from Origin’s new e-shop. The new e-shop is easy to use, providing the homeowner with the information they need to order a bifolding door online. Origin’s e-shop enables you to choose what bifolding door configurations come with each of the standard aperture sizes. It is not possible with the online store to put specific survey dimensions, for example, 2694 x 2107mm. You then choose the colour, the door opening direction, the handle upgrade and whether you want double or triple glazing. Further down the buying process, you get to choose a survey and installation service as well as a faster delivery to site. The speedier delivery option does away with 14 days cooling off period. Origin’s online store also helps the buyer with a downloadable survey guide. You also get a detailed specification on the purchased door and complete terms and conditions. Is buying directly from Origin cheaper than buying from an Origin Dealer? No. Our research indicates that you can probably buy Origin doors cheaper from some of their dealers than you can directly from Origin. Here is how a very standard Origin bifold door compares on price, including VAT, supplied and fitted. We examine a Grey 2700x2100mm 3-Panel open out bifold door, including a cill, trickle vent, Hafi handle upgrade and 28mm double glazed units. Buying online vs buying from an Origin Dealer. What to get the best out of your home improvement project? There is more to a successful project than how much Origin bifold doors cost. Consequently, Origin is not out to undercut their dealers and lose them business. Similarly, a homeowner gets a significantly enhanced experience dealing with a dealer than they do online. They also get a better Origin bifolding door. Here is how buying Origin bifold doors online vs buying from a dealer compares. Why is Origin selling directly to the consumer with a nationwide network of dealers? It is very likely some Origin dealers are unhappy about Origin selling online directly because they think they will lose sales. There is no doubt some customers will buy from Origin. Similarly, Origin setting up an e-shop helps their dealers. Here is how. Origin as a growing business, online sales is clearly part of their future growth strategy. Origin is certainly reacting to the dominance of online purchases and wanting to be a part of this market. There are many websites selling windows, composite doors, soffits and fascias already. Origin selling online is supporting their many dealers well aware of bifolding doors available to buy online. Setting up an e-shop is expensive and complicated for any small-medium Origin dealer. Origin has absorbed this significant cost. We understand Gold Origin Dealers carry out the survey and installation. As a result, Origin provides their dealers with a sale. Even if this sale is just a survey and installation, it remains a sale they would arguably never have secured without Origin. The customer pays £870.00 for survey and installation added to the Origin bifolding doors cost. Therefore the Origin dealer has substantially improved margins as they would never charge this much themselves. 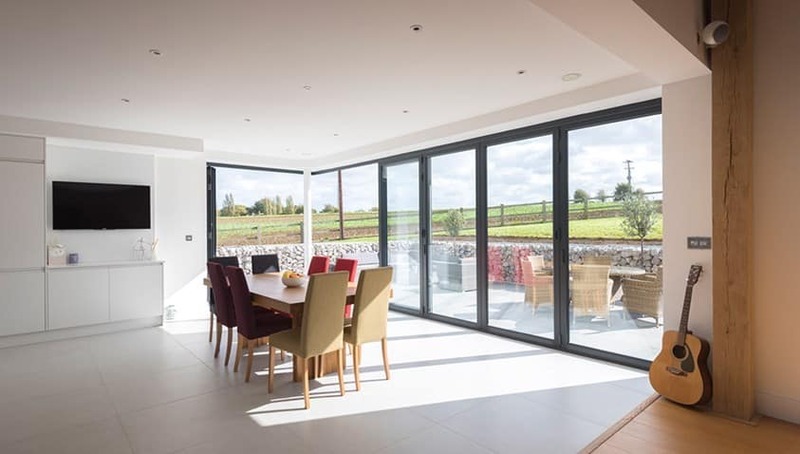 Above all we know many Origin dealers benefit from selling this strong brand of bifolding doors as well as the industry leading marketing, training and support Origin excels at. Many dealers continue to credit Origin for their support and contributing to the growth of their business. Origin doors can be sold directly to commercial installers to enhance shopfronts and commercial doors. Advantages to homeowners buying online from Origin. For homeowners with a set size and basic bifold door requirements, Origin’s online store has advantages. Ideal for homeowners to interact with Origin and would not usually look to go to a showroom. An instant price on how much Origin bifold doors cost without going to a dealer. Good if at the early stages of costing a project. 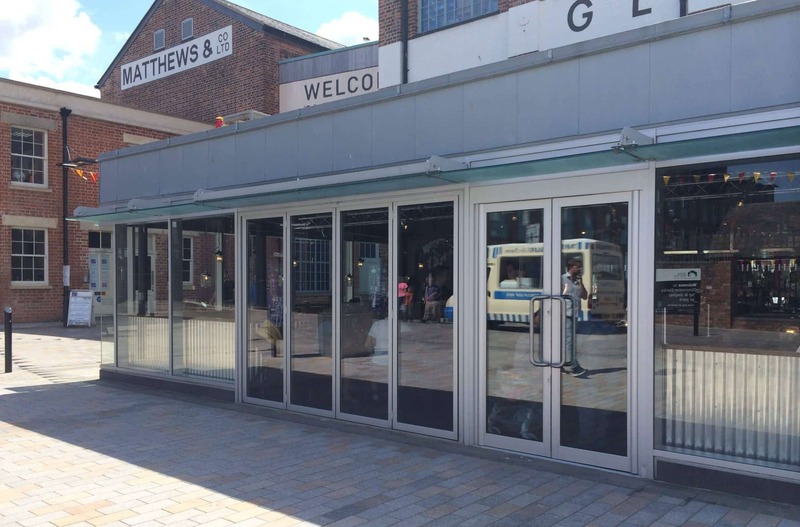 A facility to buy a standard bi-fold door where no site complexities or special requirements exist. Good for customers wanting a bifolding door without the bells and whistles. Good for those customers wanting to buy directly from the manufacturer. Therefore homeowners have more choice where to buy Origin bifolding doors. Origin and their dealers will benefit if Origin’s e-shop is a success. The Origin e-shop implies a Manufacturer Retail Price which is not necessarily a negative. Transparency is a positive. Origin gets to capture potential customers. Most bifold door projects are more complicated than ‘standard’. Origin dealers benefit from an Origin enquiry they may not usually get. Origin installers enjoy higher margins on survey and installation. We do not see a negative impact on sales. Potential for other Origin dealers to develop online sales. Contact us if you would like more information about Origin bifolding doors. Hello Lee, thank you for your enquiry to the Aluminium Trade Supply Website. Our website is an information resource only and does not quote directly or provide any products. If you click this link to go on the Origin website they can put you in touch with your nearest Gold Status installer to get a competitive quote.